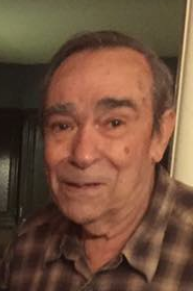 Antonio Leitao, 88, of Media passed away on September 17th. He was born in Forcadus, Portugal to the late Luiz and Rosa Leitao. He was raised and educated in Upper Chichester. Antonio was a veteran of the US Army with whom he served during the Korean Conflict. He was also a member of the American Legion. He worked for many years as a carpenter with the DuPont Company until his retirement. He enjoyed playing cards, cooking, gardening and building projects. What he enjoyed most, however, was spending time with his loving family. He is survived by his Wife of 64 years, Marie “Linda” Leitao; Children, Patricia Love (Don) and Anthony Leitao (Lillian); grandchildren, Lindsay Curlett (David), and Michael Leitao; great-grandchildren, Leo and Violet Curlett; Sister, Maria “Emily” Leitao (Patrick). His funeral service will be held on Friday, September 21st at 11am at the Joseph A. Ward Funeral Home 1459 Market St. Linwood, PA. Friends and family are invited to call from 10-11am at the funeral home. Entombment will follow in Lawn Croft Cemetery. God bless my dear Uncle Tony. He was a very special person in my life. He always had a smile for me and I love him very much. I recall so many wonderful memories of him and Aunt Linda and my dear cousins. And as my aunt became dependant on him, he was always there for her. He loved her so much. And his grandchildren and great-grandchildren were his joy. He was always so proud of his children. I remember sitting and watching his eyes light up when he talked about them. He will be missed. Uncle Tony you are in my heart forever. Love you always! Maria, My deepest sympathy goes out to the entire Leitao family. You are all in my prayers. May the wonderful memories you have of Tony help you through this difficult time. Thinking of you. He was the greatest brother ever. He baby sat, protected and loved his little sister. I will miss him so very much. Copyright © 2018 Joseph A. Ward Funeral Home. All Rights Reserved.